Greater Latrobe Partners in Education Foundation, a 501(c)(3) organization dedicated to encouraging community-wide participation and philanthropy to enrich the opportunities of Greater Latrobe school students, is pleased to announce that Lester R. Sutton has joined its Board of Directors. Mr. Sutton is the President and Chief Executive Officer of Aggressive Grinding Services in Latrobe, PA. Suttons joins the volunteer board of directors comprised of parents, alumni, and civic and business leaders committed to effectively governing the Greater Latrobe Partners in Education Foundation. The board includes Luigi G. DiIanni; Heidi T. Kozar; Raymond W. Mt. Joy; James R. Okonak, secretary; Michael J. Rossi, vice-president; Bradley E.Smith, Esq. ; Judith A. Swigart; Keith M. Visconti, treasurer and Maryann White, president. “My commitment to this Foundation starts with the same belief many of us share and that is a burning desire to make this world a better place. For the next generation to strive to achieve this dream or ideal we need to provide them with an environment that is creative, visionary and beyond what is normally expected of a school district. Using private funds and donations allows us to dream and envision, and then create that environment for the children in our community,” said Sutton. 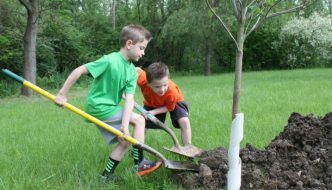 The Greater Latrobe Partners in Education Foundation’s mission is to ensure the highest level of education innovation supporting GLSD students, faculty and staff with community involvement in a partnership of lifetime learning through philanthropic and volunteer opportunities. Its first project is the A+ Campaign which is a major, comprehensive capital campaign to seek philanthropic support for the 3 A’s: Academics, Arts and Athletics. The three strategic goals of the A+ Campaign include the following: (1) Comprehensive cutting-edge technology integration in all classrooms K to 12. (2) Assisting with the development of an up-to-date Athletic and Wellness Complex at the Senior/Junior High Schools. (3) The renovation of the Junior High School entrance leading to the main building corridor which will provide a flexible space for the Junior High art collection modeled after the existing unique collection that we have developed at the Senior High School and three Elementary Schools, the Center for Student Creativity and courtyard. 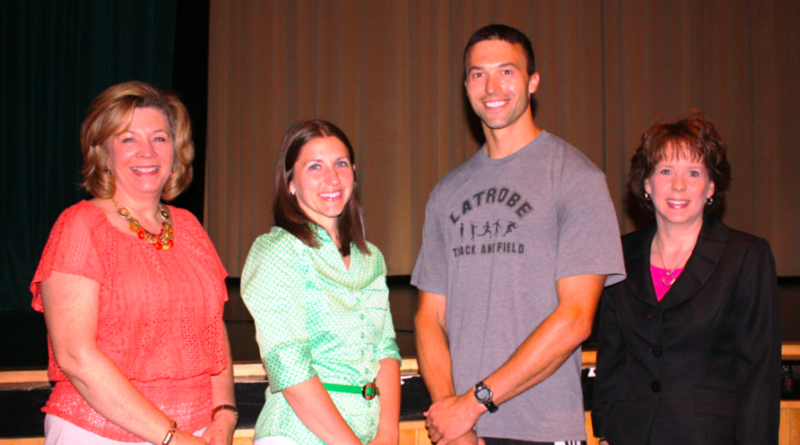 On June 6, 2013, Maryann White, President of the Greater Latrobe Partners in Education Foundation, presented $2,175 in grants to Greater Latrobe School District from the Dr. & Mrs. William D. Stavisky Fund. The Dr. & Mrs. William D. Stavisky Fund was established in 2009 to carry out Greater Latrobe School District’s emphasis on academics, arts and athletics. Community donations made in honor of Dr. William D. Stavisky’s years of service as superintendent of schools created this Fund. Each year grants are awarded to Greater Latrobe teachers that wish to implement innovative programs focusing on academics, arts, or athletics. The first grant of $850 was awarded to Kathy Kerlin, Title I and Literacy Coordinator, for Camp Pathfinder, a new summer program to support the transition of at-risk students entering the Greater Latrobe Junior High School. Kindergarten teacher, Laurie Golobish, received $800 to support the purchase of supplemental math manipulatives for kindergarteners at Latrobe Elementary School. Physical Education teacher, Anthony Mehalic, received $525 to purchase equipment to support the Fitness Across the Curriculum program. In addition to the recent Dr. & Mrs. William D. Stavisky Fund grants, Greater Latrobe Partners in Education Foundation is able to support exciting summer enrichment opportunities for Greater Latrobe School District students by generous grants from the McFeely-Rogers Foundation. Three student scholarships were awarded for senior high students to attend the Foundation for PA Free Enterprise Week and ten Greater Latrobe Junior High students are able to attend the University of Pittsburgh at Greensburg’s Summer Science and Math Experience camp at no cost to students or families. Amid cheers and applause, Maryann White, President of the Greater Latrobe Partners in Education Foundation (GLPIEF), formally presented the organization’s first-ever grant award in the amount of $226,000 to the Greater Latrobe School District (GLSD) at the School Board meeting on May 14. 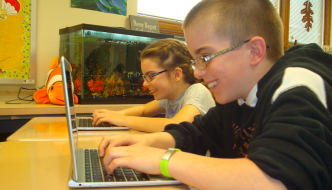 The grant funding will purchase and install fully integrated digital technology in every classroom at the Junior High. 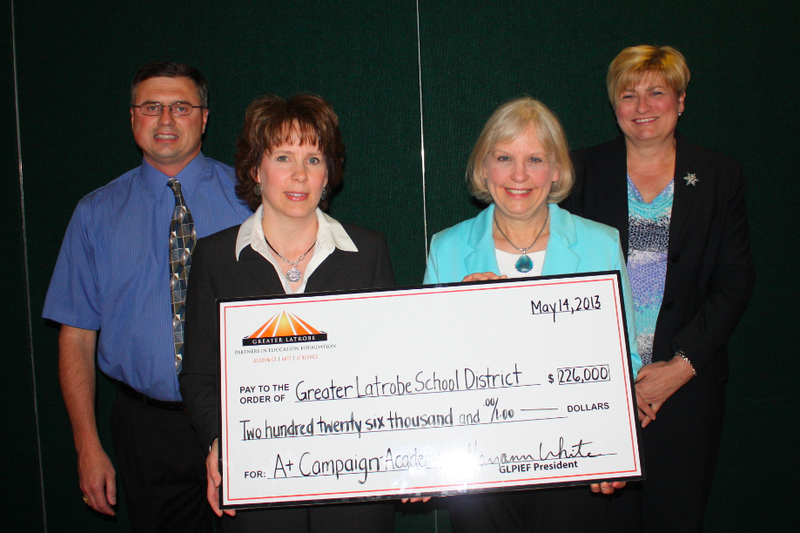 The grant is a direct result of early success achieved through the A+ Campaign for Greater Latrobe School District. White said the Foundation has only recently completed the leadership phase of the campaign and over half of the campaign objective has already been committed. This led the Board to vote for immediate funding of the GLOBAL Classrooms Initiative, one of the original purposes of the campaign. When finished, the GLOBAL Classrooms Initiative will fully integrate all 125 classrooms in the District with interactive white boards, student response systems, and document cameras. The other two campaign goals include assisting with the development of an athletic and wellness complex at the Junior/Senior High School campus and renovating the Junior High entrance and main building corridor to provide a flexible space for the Junior High art collection, modeled after the Center for Student Creativity at the Senior High School. Judy Swigart, GLSD Superintendent of Schools, said the campaign was strategically designed to impact academics, the arts and athletics, which she considers the three most critical areas for an effective learning experience. GLPIEF is an independent, non-profit organization recently formed to provide philanthropic opportunities for individuals, organizations and businesses to strategically support GLSD students beyond the means of conventional public funding. White said the Foundation expects to raise in excess of $3 million through the A+ Campaign. The Board of Directors is working closely with School District leaders to ensure that every dollar raised is being used to improve GLSD. The Greater Latrobe Partners in Education Foundation, an independent, nonprofit organization formed to support Greater Latrobe School District, is pleased to announce that, to date, 100 percent of all Greater Latrobe School District Board of Directors and school administrators, as well as 80 percent of all District employees have made charitable gift commitments to support the A+ Campaign for Greater Latrobe School District. While the A+ campaign has only completed the leadership phase, White said well over half of the campaign objective has already been committed. White attributes this strong early support to the rich tradition of philanthropic involvement in GLSD by Greater Latrobe residents, corporations and foundations. The three strategic goals of the A+ Campaign include comprehensive cutting edge technology integration in all classrooms kindergarten to 12; assisting with the development of an athletic and wellness complex at the Junior/Senior High School campus; and the renovation of the Junior High entrance and main building corridor which will provide a flexible space for the Junior High art collection, modeled after the existing unique art collections at the senior high and elementary schools, the Center for Student Creativity and courtyard at the Senior High School. Anne Carroll has been a teacher at GLSD for 7 years and said giving to the A+ Campaign is a natural extension of her commitment and belief in the important role the School District plays in the success and future of the community. 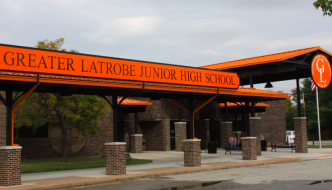 The Greater Latrobe Partners in Education Foundation (GLPIEF) and the A+ Campaign Committee are pleased to announce the proposed advancements to Greater Latrobe School District. GLPIEF is an independent, non-profit organization formed to provide philanthropic opportunities for individuals, organizations and businesses to strategically support Greater Latrobe School District and its students. 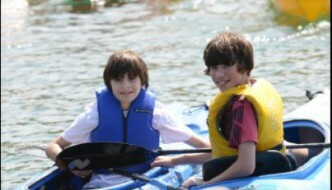 The A+ Campaign Committee consists of a dedicated group of community volunteers: Ray & Pam Mt. Joy; James R. Okonak; Michael J. Rossi; Diane G. Sobota; Dottie Staffen; Lester R. Sutton; Judith A. Swigart; William A. Palmer and Maryann White. The three goals of the A+ Campaign for Greater Latrobe School District provide a balanced focus on Academics, Arts and Athletics. Each component of the A+ Campaign has a dynamic virtual tour that can be viewed here. The third goal is the renovation of the Junior High entrance and main building corridor, often called the long hallway. This hallway formerly housed all the student lockers and is currently an underutilized space in the heart of the building. This proposed renovation will take what is really a dark and vacant space and transform it to provide flexible space for the new Junior High art collection and student instruction. This renovation is modeled after the existing unique art collections at the senior high and elementary schools and the GLSD’s Center for Student Creativity. The A+ Campaign improvements will allow students to live daily with original art and enhance the culture of the Junior High School. The renovation to the entrance will improve security in the building for afterschool events and create a secure and attractive entrance and exit for the building. Among the strongest supporters of the A+ Campaign are GLSD alum, Ray Mt. Joy and his wife, Pam. Together, the Mt. Joys are co-chairing the campaign. Mt. Joy said he owes a significant amount of his success in business and life to his educational experience as a student at GLSD. organizations and businesses to strategically support the students in the Greater Latrobe School District beyond the means of conventional public funding. Maryann White, CPA, of Kelly, Sparber, White and Associates, is serving as president of the Foundation. 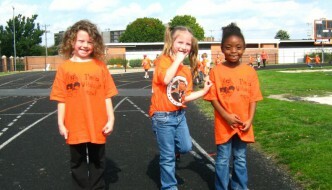 She said helping the school district keep pace in a global environment is critical for the future of Greater Latrobe. White will lead a volunteer Board of Directors comprised of parents, alumni, and civic and business leaders committed to effectively governing the Greater Latrobe Partners in Education Foundation. In addition to White, the board includes Luigi G. DiIanni; Heidi T. Kozar; Raymond W. Mt. Joy; James R. Okonak, secretary; Michael J. Rossi, vice-president; Bradley E.Smith, Esq. ; Judith A. Swigart; and Keith M. Visconti, treasurer. 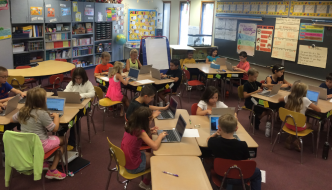 To meet the growing challenges in public education, many communities like the Greater Latrobe community, are forming education foundations to support student-focused educational priorities. The Pennsylvania Education Foundation reports 230 local education foundations exist in the state and as many as 5,000 exists throughout the country. Judith A. Swigart, superintendent of GLSD, said the Foundation is a new and creative approach to providing students with outstanding educational opportunities. Swigart is pleased that the Greater Latrobe community has recognized the important roll it can play and the impact it can have in our schools with the Foundation. “We are the trusted leader for educating our youth and through this valued role we take seriously the responsibility to keep pace with the needs of our community as we compete in a global society and world,” Swigart said. 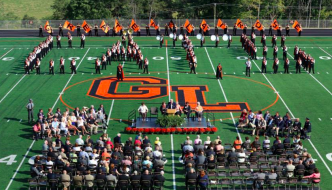 “We are thrilled to have the Foundation as a partner in supporting not just a quality public school education, but a world-class school district for our next generation of citizens.” The first goal of the Greater Latrobe Partners in Education Foundation is the A+ Campaign for the Greater Latrobe School District. The A+ Campaign is seeking to raise in excess of $3 million for programs and capital expenses in the three GLSD priority areas: academics, the arts and athletics. The three strategic goals of the A+ Campaign include comprehensive technology integration in all classrooms K to 12; assisting with the development of an athletic and wellness complex at the Junior/Senior High School campus; and the renovation of the Junior High entrance and main building corridor which will provide a flexible space for the Junior High art collection, modeled after the existing unique art collection, Center for Student Creativity and court yard at the Senior High School. 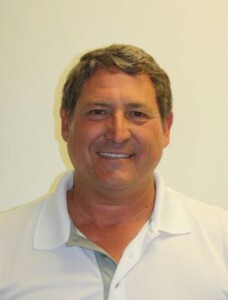 Board member and Greater Latrobe School District alumnus, Ray Mt. Joy, is chairing the A+ Campaign and said the positive community response has been extremely encouraging and positive. While the A+ Campaign is the first endeavor and a priority for the Greater Latrobe Partners in Education Foundation, White said the Board is also exploring other opportunities that will support educational excellence beyond the current campaign. 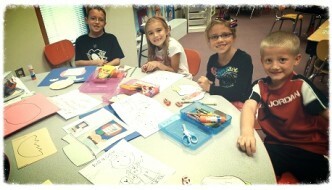 The Foundation recently received charitable grants for Greater Latrobe students to participate in summer enrichment programs at the University of Pittsburgh at Greensburg Summer Science Math Experience and also to promote the Foundation for Free Enterprise Education’s Pennsylvania Free Enterprise Week.